The Met Police has confirmed the formal decision to outsource three departments to a private company will be made imminently. PoliceOracle.com reported earlier this year that hundreds of staff posts in the force may well be handed over to private company Shared Services Connected Limited (SSCL). The deal - which will see finance, procurement and human resources departments change hands - has now nearly been confirmed. 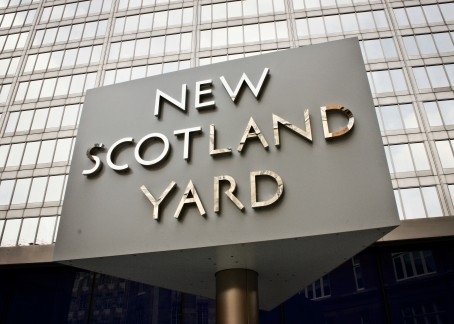 A spokesman for the force said: "As part of our commitment to deliver a service that is value for money, the Met has been undergoing a formal process of market testing a number of its support services against external suppliers. "The market testing programme for finance, procurement and HR services has now completed. The programme explored the benefits of keeping these services in house as well as outsourcing them to a new supplier or suppliers. "The analysis found that in order to match the financial and performance benefits of a market solution, our existing in-house business support services could not make the changes required." A business case will be considered by the London Mayor's Office for Policing and Crime (MOPAC) on Wednesday of next week, to rubber stamp the deal. Stephen Greenhalgh, who heads up the body, told PoliceOracle.com earlier this year that he is firmly in favour of outsourcing: "I think it's beyond controversy that if you have a strong client knowing exactly what they want, that you can use enterprise and the market as a way of driving down the cost of delivering support services to policing. "I think the approach we have heard, of taking back office and middle office support services and tendering them competitively[…] is the sensible thing to do because the alternative of slashing police officer numbers is simply not acceptable." Earlier this month he signed off a £150,000 contract with Impower Consulting to advise over changes to victim services in the capital. Staff unions have opposed the SSCL plan, with Prospect warning it will result in "direct control and accountability" for the delivery of the services being done away with. The PCS has warned that it will lead to other areas of the Met being privatised. When it was first announced, Deputy Assistant Commissioner Craig Mackey said that the decision was being made "with some regret". But he said the alternative would have seen 30 per cent staff cuts in order to keep costs down. SSCL is majority owned by outsourcing giant Sopra Steria. It has previously won contracts in several government departments including the Department for Work and Pensions - where many staff have been made redundant. A spokesman for the Met said it was unable to give details of the length of the contract or amount it was valued at, at this time. In 2012 Lincolnshire Police handed over 18 business areas to G4S. The contract was worth £230 million, with a guarantee of £36 million of savings built in. The force has previously said that fears of "swingeing staff cuts or brutal changes to terms and conditions" prior to the deal beginning, had both proved unfounded. "Job reductions for the most part were achieved by natural wastage, redeployment or voluntary packages, and few people left the organisation against their will," Chief Constable Neil Rhodes said. In an article he has written on the programme he claimed that the reduction on demand on senior management time is "really palpable" and had been underestimated at the start of the process.